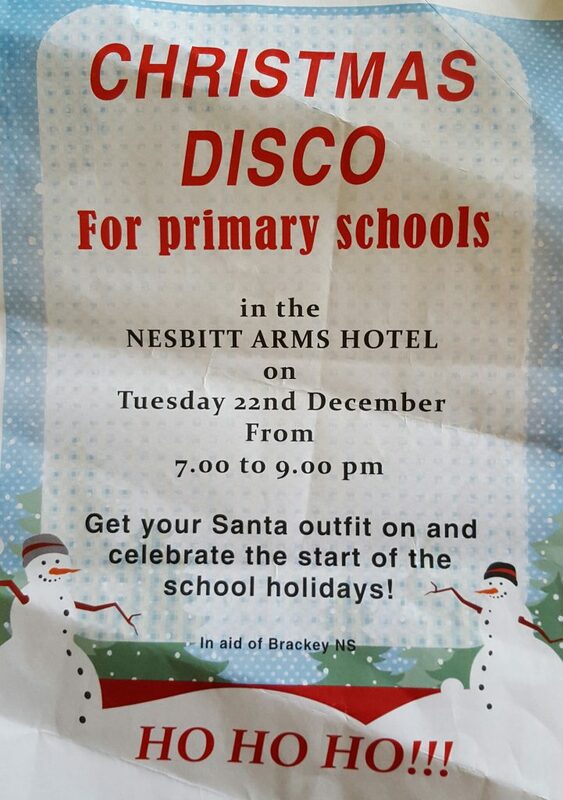 A Christmas disco will be held tomorrow night the 22nd of December from 7 to 9 pm in the Nesbitt Arms. In aid of Brackey N.S. We hope to see you all there celebrating the start of the school holidays.